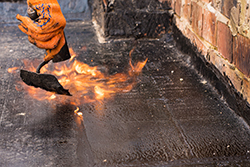 Once your Commercial Flat Roofing is built, you may think that’s the end of it. That way of thinking is wrong. 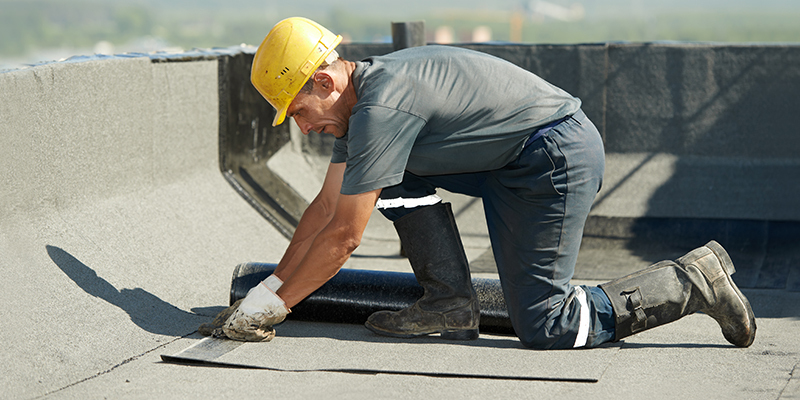 To keep your roof and your building in the best shape, you need to perform maintenance on it. Just as you would tidy the insides and have the windows cleaned as part of your regular care schedule, your roof needs to be looked after as well. Not only does your roof protect everything inside your structure, it also affects how it looks. Maintenance is important to your roof because it allows you to get a sense of understanding for what is happening up there. You can see any signs of damage and catch any small issues quickly before they turn into bigger problems that will require a much more expensive repair bill. You can also see what has happened after a storm or winter season and know what needs to be done to get your roof back to it’s optimal shape when you speak to your contractor. To keep your roof working efficiently and at its best, there are some maintenance tips to follow. Just because your products are protected under warranty does not mean that you should rely exclusively on that to protect the roof. Some warranties have a clause that requires regular maintenance for them to remain effective. It is also more cost-effective and looks better for your business to have a repair done to a small section of the roof as needed rather than having to close a section to perform a full roof replacement. Performing regular maintenance can extend the longevity of your roof, saving you money in the long run on repairs and replacements. On average, you should have a roof inspection done twice a year. At Can-Sky Roofing, we offer a preventative roof maintenance program, which provides semi-annual inspections. If you have a commercial building, performing your own inspections bi-monthly or after any major weather events is recommended so that you can remain on top of any issues that may develop. A flat roof does not mean that anyone can walk wherever they choose. Limit access to those who are trained to be on the roof and know where they can step safely. Allow no smoking on the roof, and ensure no tools, bags, or equipment are left on the roof. These steps can make your roof safer, and avoid causing any needless damage. For every inspection you perform or you have done by a professional, write down everything. This way, you will have a record you can refer to if needed. It will also give you a running history on the lifespan of your roof. You can notate any issues you see that need to be repaired or replaced, and also keep track of problems that have been resolved. At Can-Sky Roofing, competency and efficiency are at the core of our values. For emergency repairs, contact us at 416-991-6783. For all other inquiries, including a free estimate for your roofing project, call 416-763-5131. For a complete overview of our flat roof systems, visit us online.